If you want to turn your PDFs into documents and images you can edit. Pdf to Doc Txt Rtf Jpg Tif Converter 3000 is the best choice. It can help you free batch convert PDF to Word,TEXT,RTF,JPEG,JPG,TIFF so you can edit and reuse your PDF content. 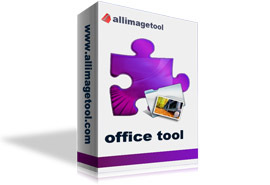 It can preserve original layout, text, images, vector drawings of your pdf file. More, the processing speed is very fast. User-friendly interface is very easy to use with merely a few clicks. Convert your PDF documents to doc,txt,rtf,jpg,jpeg,tiff etc formats - make your PDF content editing. Support the encrypted PDF to convert to Word/TEXT,RTF. Customize to convert any segment of PDF to Word,Text,RTF,JPEG,JPEG,TIFF. Extract the text of PDF to convert to Word/RTF. Convert PDF to Word with accurately preserving the original Text, Tables, Graphics & Layout. Convert PDF to jpeg/jpg, you can set the image quality from 1-100. Preserve the original layout of your PDF in an editable Document, Image etc.